We manufacture and supply superior quality clutches spares and brakes spares such as clutch plates and liner clutch plates which is sturdily constructed keeping into consideration the application standards. These are known for their Single valve side eject, Superior stopping performance and anti lock braking system. 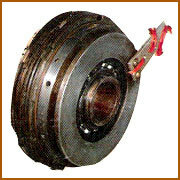 These clutches/brakes are used for smooth starting of machine. They are more used machine tools as they are very compact in size. Beside machine tools they also have an application in various types of machines such as textile m/c'printing m/c., plastic moulding m/c., multi speed gear boxes,rolling mills & various other machines. These are stationery field multiple disc clutches which maintenance free & used in gear box of machine tools to transmit power. They are without slipring. Justifying our position as a leading manufacturer in quality products, we produce clutches equivalent to ELSA type which features with high-precision and wide control ability, high reliability and impact absorb-ability. 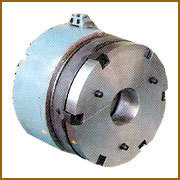 They are used specially in machine tool like milling, lathe, griding, boaring machines, hobbing machines etc. 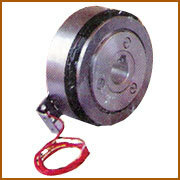 These kind of clutches used in gear box of machine tools to transmit power and higher torque. It can be operated in both in wet or dry condition. 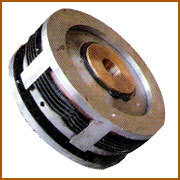 These kinds of clutches are maintenance free.They are used in various types of machines such as; textile machinery, printing machines, plastic machines, multi speed gear boxes & various other machines. 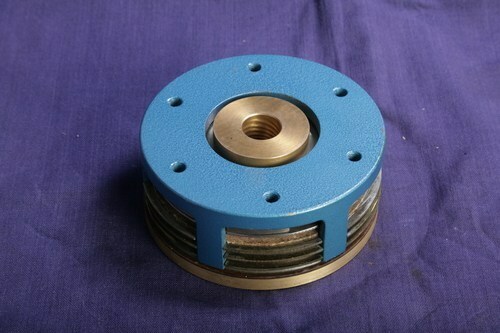 These stationery field tooth clutches can transmit a higher torque compared to stationery field multi disc clutches. It can be operated in wet or dry condition though wet operation is preferable. 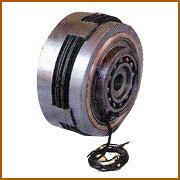 These clutches are designed for running in oil which requires no maintenance. The specialty of these clutch is this clutch is once this clutch is set, it need not be reset again because of the peculiar system of flux passing. Looking for “Clutches and Brakes Spares”?